The United States administration is backing a plan to partition Kosovo, a report said Wednesday. According to Kosovo-based Gazeta Express, U.S. President Donald Trump greenlighted the idea of dividing Kosovo in search of a compromise with Serbia, from which the Albanian-majority country declared independence 10 years ago. Kosovo would need to give up some of its northern lands in order to secure recognition from Belgrade, White House sources told the outlet. 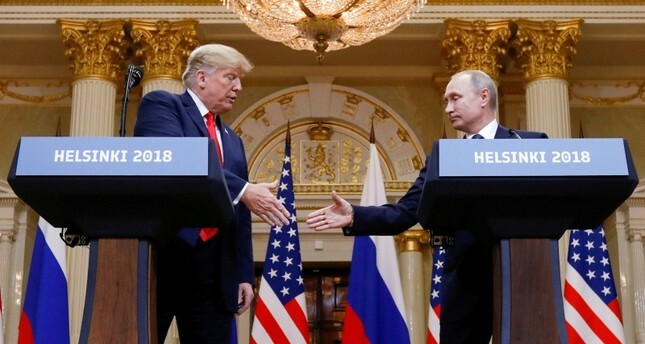 The report claimed that Trump administration and Russia's view regarding the partition of Kosovo coincide and that the U.S. president is likely to have agreed to the plan with Russian President Vladimir Putin during their summit in the Finnish capital Helsinki. The potential deal constitutes a drastic change in the U.S. position regarding the issue, likely caused by John Bolton's arrival to the post of Trump's national security adviser. Bolton has been known for his anti-Kosovo stance since his days as U.S. envoy at the United Nations, the report said. Meanwhile, Serbia raised the prospect of a new deal with neighboring Kosovo, which seceded from Serbia 10 years ago as part of a decadesold conflict that could see the two countries draw up new zones and swap chunks of territory. Serbian President Aleksandar Vucic said that if such a "demarcation" agreement was not put in place, Albanians could spread out throughout Serbia in the coming years due to their high birth rates, in comments published Thursday in Serbian media. Vucic's suggestions could see North Kosovo, which is mainly populated by Serbians, handed over to Belgrade. In exchange, the region surrounding the southern Serbian town of Presevo, which is mostly populated by Albanians, could be transferred to Kosovo. Kosovo Prime Minister Ramush Haradinaj recently warned, however, that any partition of Kosovo or exchange of territory with Serbia would ignite a "war," shooting down proposals that have been floated to break a diplomatic gridlock between the former war foes. Kosovo declared independence on Feb. 17, 2008, nine years after NATO conducted a 78-day airstrike campaign against Serbia to stop a bloody crackdown against ethnic Albanians. Kosovo is recognized by 117 countries, including the U.S. and most Western powers, and has joined about 200 international organizations. Serbia, which for centuries has considered Kosovo the cradle of its civilization, still sees it as part of its own territory and has the support of Russia and China. Five European Union members also do not recognize Kosovo's independence.